​A front door greets you and your guests every time you enter your home, and also adds protection from the elements as well as additional security for your home. 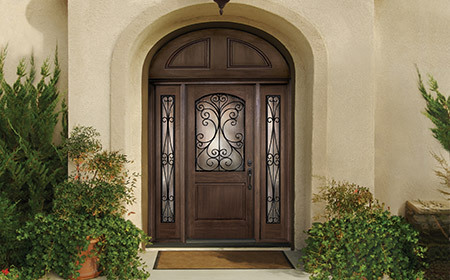 Let the experts at Sears Home Services help you pick a new entry door that’s just right for your home. We even offer free in-home consultations. Save $150 on qualified Entry Door purchase of $1500 or more. Offer expires 5/4/2019. Not valid on prior sales or in combination with any other offer. Purchase requirement before taxes and after other discounts and must be made in a single transaction.